When I was at the Sundance Film Festival last year, my co-workers and I wanted to find someplace close for bar bites and an early evening drink before attacking the crazy screening and party scene...and the cold. 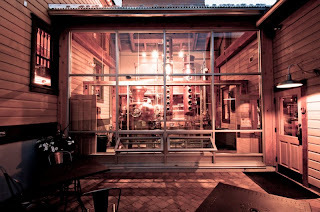 Two doors down from our condo, we found High West Distillery, and it has since become one of my "happy places." 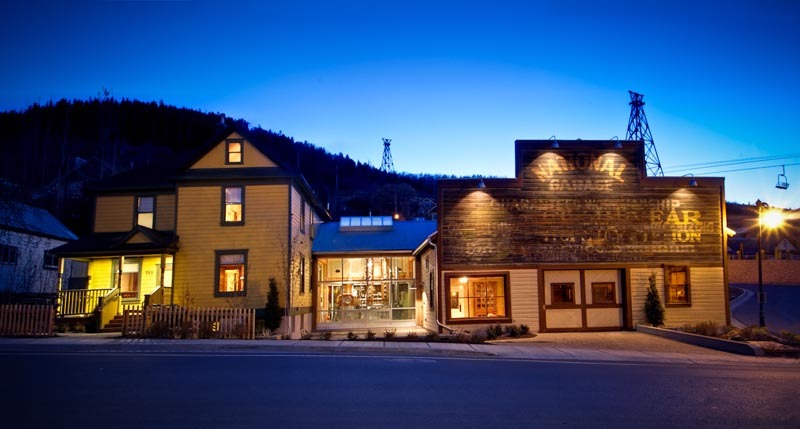 High West has been making small-batch whiskey in Park City, Utah in 2007, the first since 1870 in Utah, and is the world's only ski-in gastro-distillery. That's right. You can ski-in for your Hot Toddy or spiked Apple Cider, and it's all located in a state known for their stringent liquor laws. I ended up buying a small bottle of their signature Rendezvous Rye that year, a very smooth blend of a 16-year and 6-year rye whiskey. I made that bottle last and only broke it out for special occasions and whiskey afficionados. When I would see a bottle of High West whiskey at a Los Angeles bar, I'd always ask for it. This usually resulted in a surprised look and sharing a free shot with the bartender. It was like their little secret and they were always shocked if someone else knew about High West other than them. When I went back for the Festival this year, of course I had to stop by multiple times during the week to warm up and relax. High West has a great rustic and Western theme, with great hospitality and an atmosphere that lends itself to lounging for a long time. To the right is the larger saloon, formerly a livery, with high ceilings that make you feel as if you stepped into an Old Western. In the middle sits the distillery, which I'll eventually get around to touring on a future visit. 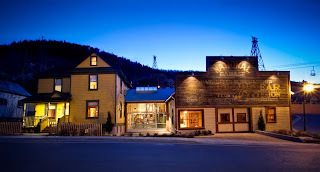 The smaller bar is housed to the left in a two-story, yellow Victorian home, with plenty of cozy couches and big leather chairs to settle into. 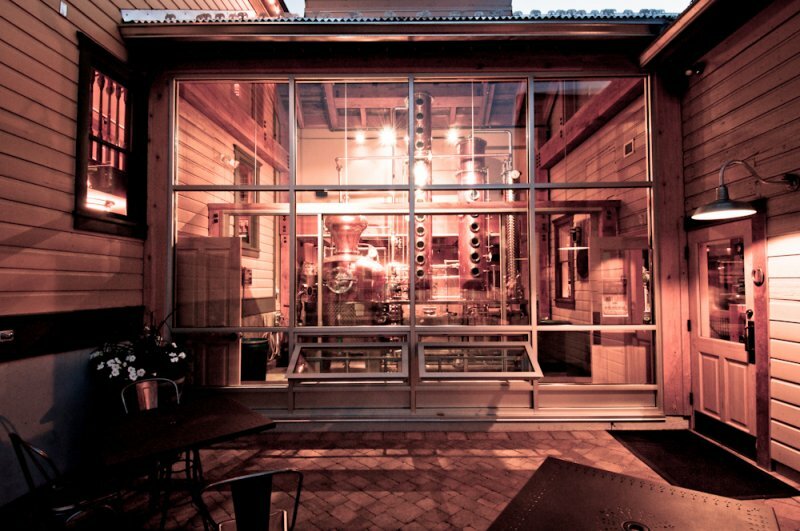 The food is reasonably priced and darn good—it'll satisfy any city girl or cowboy. I highly recommend the High West Popped Corn with bacon, bourbon, cashews and caramel and their Spiced Marcona Almonds with peat smoked salt, brown sugar and paprika if you're looking some light munchies with your cocktails. Their small plates of Utah Ballard Farms Pulled Pork is slow-roasted for 18 hours and comes with fried golden tomatoes and a barbeque drizzle. The Whiskey Cider Braised Short Rib with mashed Yukon Gold potatoes and fried shallot rings is also another winner and is sure to fill you up before you venture back out into the cold. There's a small shop in the front where you can purchase any of their whiskeys. If you're not sure where to start, then try their High West whiskey flight for $17. I found myself with a couple of hours to kill and knew that I was going to be buying a couple of bottles before I went home, so I did the flight. I started off with their Western Oat Silver Whiskey (yes, it' clear! ), which is an un-aged whiskey with primarily oat bran and a little bit of barley. If you're a tequila fan, you'll love this stuff. It's very similar to a blanco tequila and is a good starting point if you're not a big whiskey drinker. I then moved on to their Double Rye, which became my new favorite. It's a combination of a 2-year and 16-year rye, with spicy notes of cinnamon and anise. I can't wait to make an Old-Fashioned out of this with my Bitter Revenge Buzzkill Bitters. Next up, was their 21 Year Old Rocky Mountain Rye, which is aged in used oak barrels (unusual for American ryes) and has a sweet, caramel flavor, similar to a bourbon. Lastly, was the Bourye (boo-rye), which is their famous combination of bourbon and rye whiskey. High West certainly makes a fantastic whiskey, and they are always a 'must stop' for me when I am in Park City, but they haven't been making whiskey since 1870. 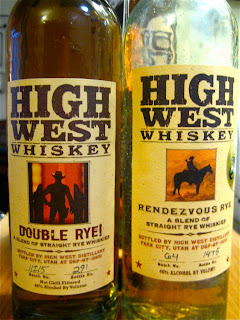 In 2007 High West became Utah’s first legal distillery *since* 1870. 18 days and counting until I will be sitting in their saloon again. Yay!